Construct a pizza that showcases different number forms! Visit 2nd Grade Ponderings for a free printable. Get a french fry container for each place value you're working with. Kids stick yellow popsicle sticks in each fry box. Then, they write down their number. Click here to see a couple more french fry ideas (and get a visual). Workers at the diner can create bundles of straws for the diner! Click here for details! Make soda jerker hats for kids to sport while playing these activities! Cut 2 strips of construction paper and staple 2 of the ends together. Then, take two sheets of tissue paper. Glue the bottom edge of the tissue paper along the backside of the paper head band (middle of the band to the top edge of the construction paper strip. Once dry, fit the band on the child's head. The tissue paper should stand straight up! This is really funny looking!!! Finally, tuck the tissue paper down, shape and tape! After you shape it, you will have an authentic looking soda jerker hat! 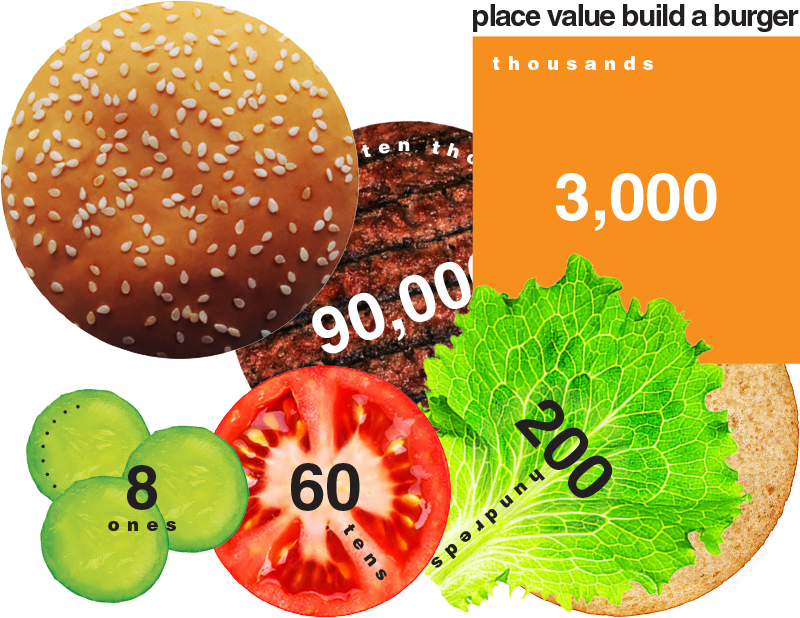 If you know of any more place value games that could fit into a diner theme, let me know!